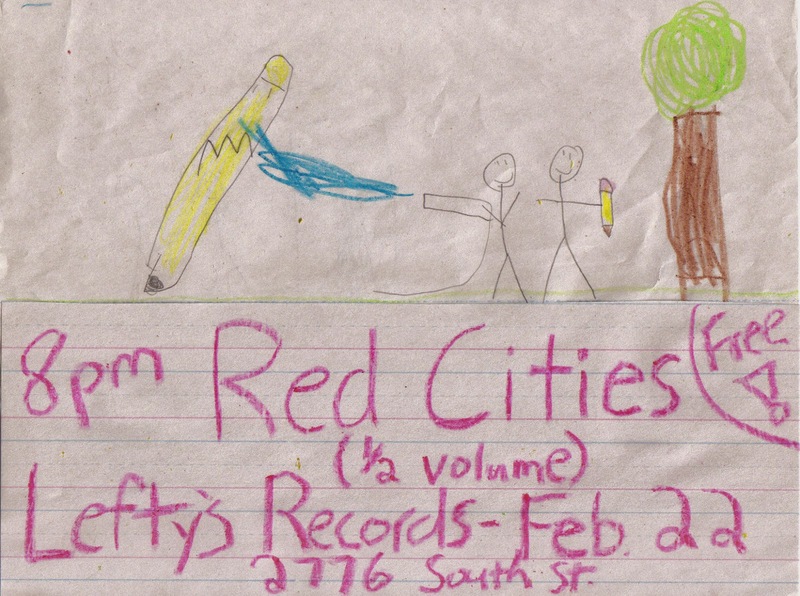 Red Cities will be performing live at Lefty's on Saturday, 2/22, at 8:00. The show is free and they will play about a half hour. Come check them out it will be a lot of fun. 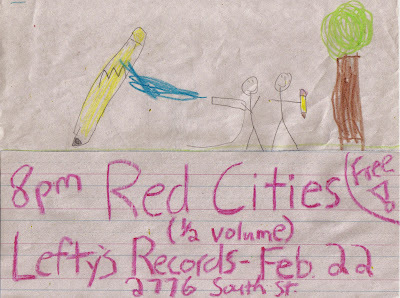 If you can't make it you can watch it live at leftysrecords.com as we will be livestreaming it.